Glendale Movers is a professional moving company serving homes, apartments and businesses in Glendale, Phoenix and surrounding areas. We are family owned and operated moving and storage company founded by professional movers and moving consultants joined together to provide you with an outstanding service.We pride in providing you with great prices and excellent service for the easiest move! 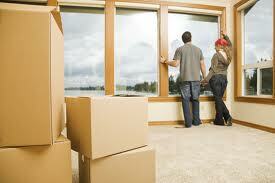 We are full-service, licensed and insured movers. Because we are moving your family's life not just your physical possessions, we use the best equipment, and provide a highly trained team to protect and move your home or business. We strive to earn a reputation for professionalism and are dedicated to providing unparalleled services by meeting the unique needs of each and every customer. Glendale Movers can assure you that wherever you are moving to or from, there will be experienced, well-trained personnel available to handle your move.